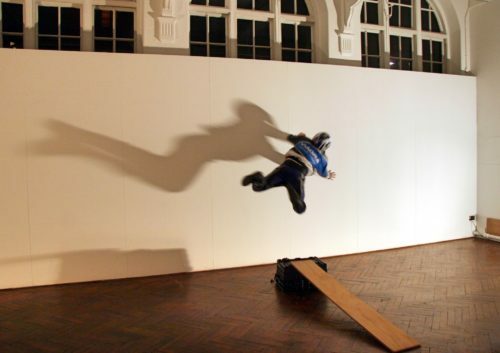 The Bush Theatre’s production ‘Going Through’ illuminates the realities of child migration through the deaf experience. 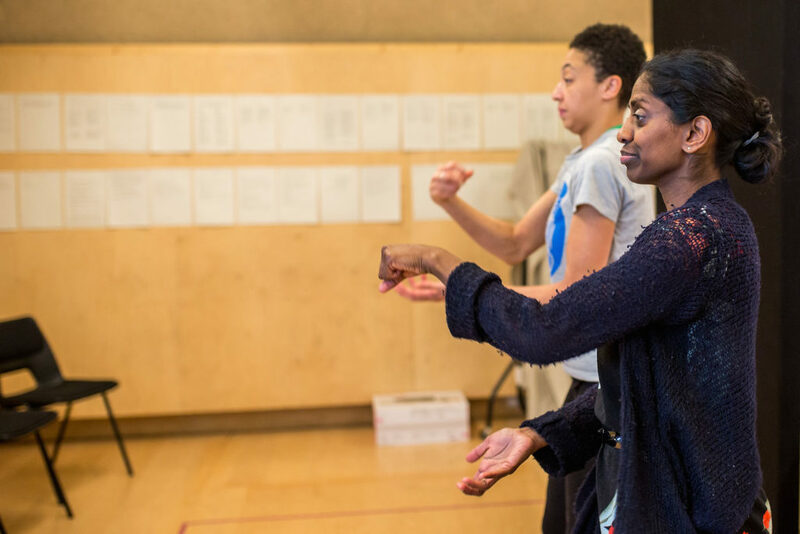 Natasha Sutton Williams spoke to actor Nadia Nadarajah, director Omar Elerian and translator Kirsten Hazel Smith about their creative process and how they blended English, British Sign Language, Creative Captioning and Visual Vernacular into the show. Going Through is a two-hander focusing on the relationship between Youmna who is deaf, and her hearing daughter Nour, as Youma prepares Nour to leave home. The story follows Nour’s passage through childhood, journeying across borders to meet her real birth mother. The play was originally penned by French writer and director Estelle Savasta. She studied at the International Visual Theatre in Paris, learning how to integrate French and Sign Language into her plays. She then wrote and directed Traversée (Going Through) in 2011. The show has been a critical success, with English and Spanish translations, multiple productions in France, Canada and will be performed in Mexico, as well as the upcoming production in London. So what has made this play resonate with so many D/deaf and hearing audiences? 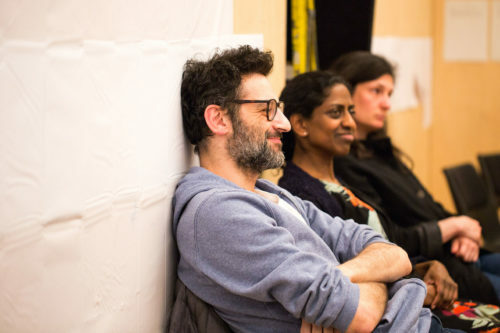 Direrctor Omar Elarian, Nadia Nadarajah and Assoc Director Laura Stern in rehearsal for ‘Going Through’ at the Bush Theatre. Photo © Becky Bailey. So why aren’t more translated plays being produced in the UK? 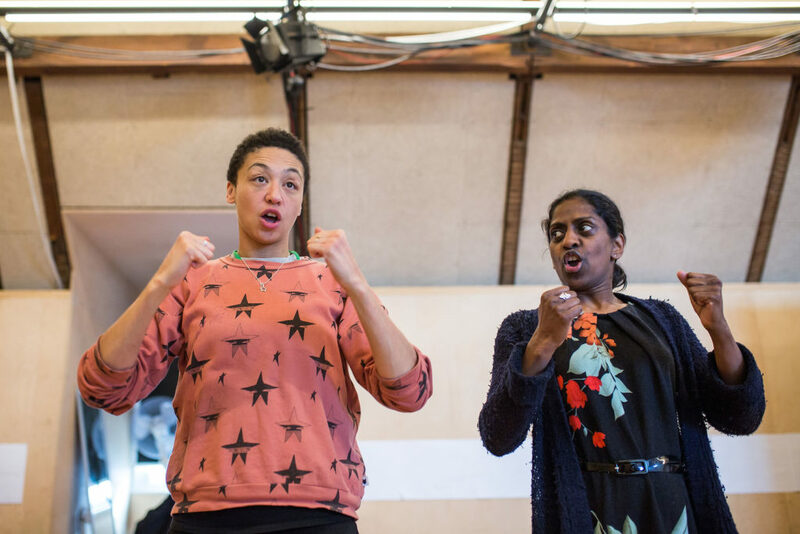 Going Through will be performed at the Bush Theatre from 29 March – 27 April. The Bush price tickets a little differently. Here’s how and why. All performances combine English, BSL and Creative Captioning, with the aim of being equally accessible to hearing and deaf audiences. Please note this show contains flashing lights and video throughout. Hear from the cast and creatives of Going Through after the show. 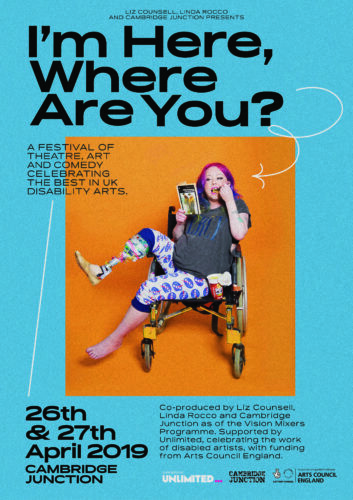 Fully accessible to deaf audiences. Free to ticket holders on the night. The Bush Theatre is fully accessible. For more access details, please see the Bush’s Accessibility info.